I'm not a fan of real spiders, but I definitely love the spider in Eric Carle's A Very Busy Spider, so I am excited that we are featuring that book this week as part of our Weekly Virtual Book Club for Kids. 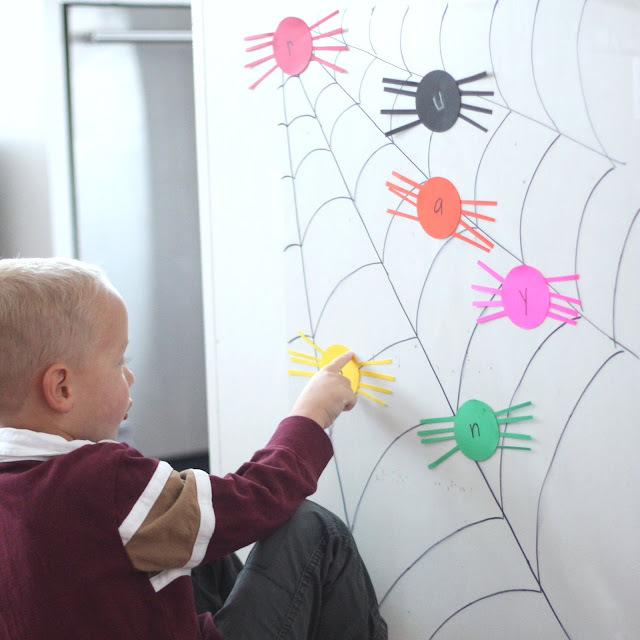 After reading A Very Busy Spider, we put together a simple alphabet spider sticky wall. My preschooler is really interested in the alphabet right now and especially loves exploring the letters in his name. This sticky wall was pretty easy to set up and helped us work on letter recognition, word/name building, and some beginning sound recognition. 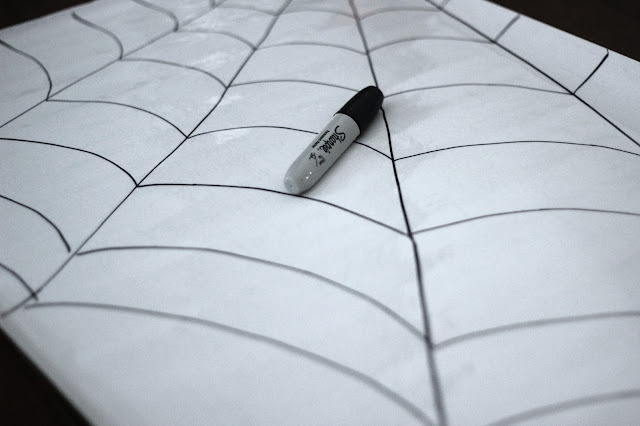 To get started I made a big spider web on the outside of a piece of clear contact paper. Afterwards I taped the contact paper onto the wall, sticky side out. 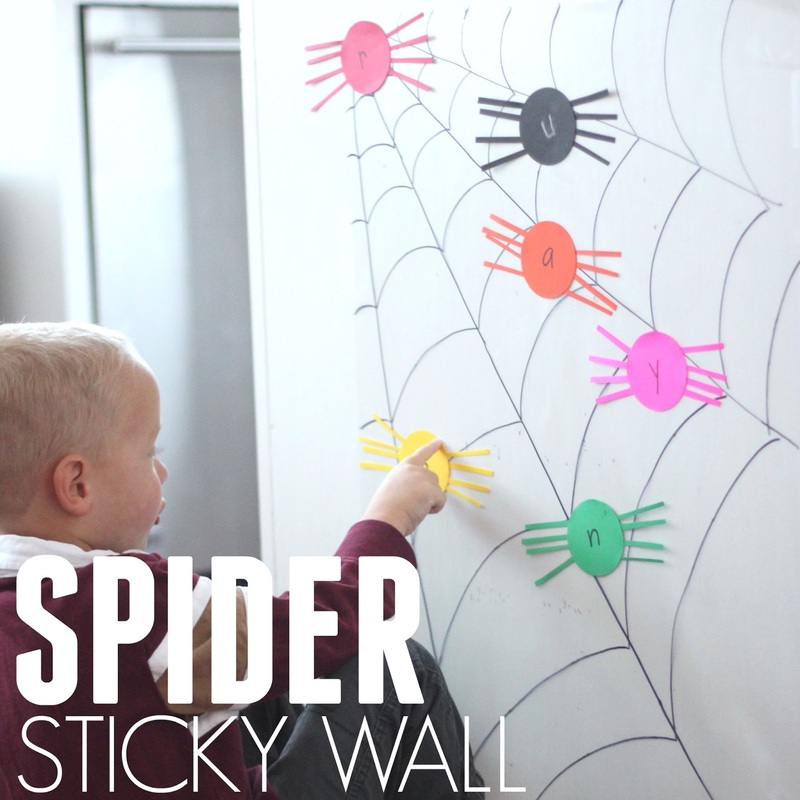 Once the sticky wall was up, we made spiders! 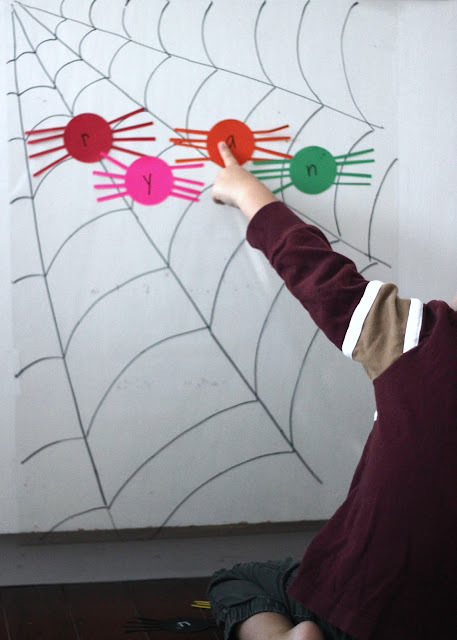 To make the spiders we cut out circles using our circle craft punch and colored cardstock. Next we used scissors to cut small strips from colored cardstock. Finally, I taped eight legs to the back of each circle and we had a bunch of spiders! 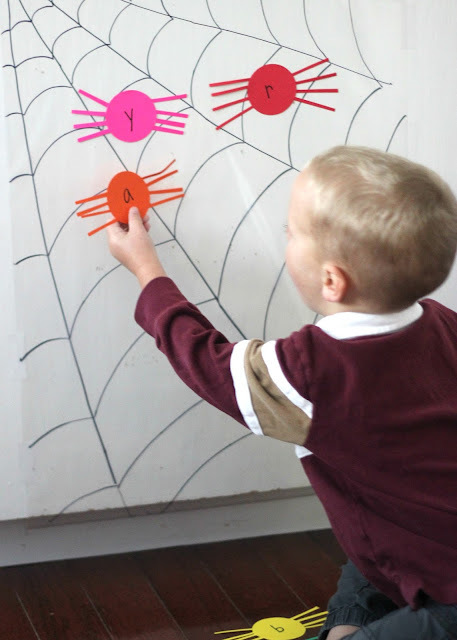 To get the sticky wall activity started, we wrote alphabet letters on each spider. Once we made the spiders, we started sticking them on our sticky wall and having fun moving them around. My preschooler even built his name using the spiders. 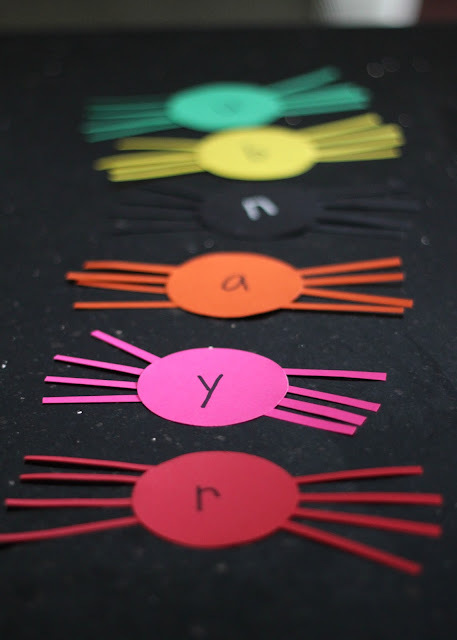 While we played with the spiders, we talked about the alphabet letters on their backs, the sounds each letter made, and other words that the letter started with. The baby joined in too and started ripping everything down, LOL. In order to keep the paper spiders from getting destroyed, it is best to laminate them. It is totally fun to act out the Very Busy Spider story while playing around with our sticky spiders. Do you have any spider lovers? Below you'll find more spider themed activities from our co-hosts. 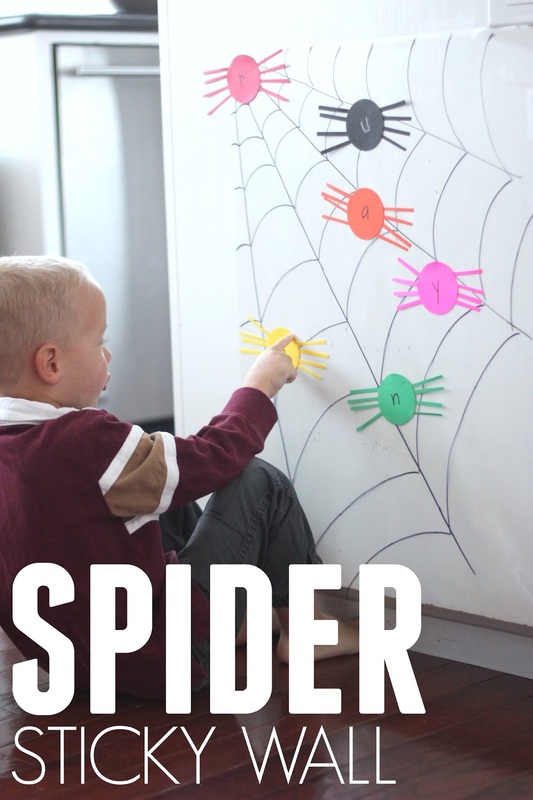 Do you have any other favorite spider inspired books, crafts, or snacks? This is so cute! Contact paper is a must have for toddlers - it has an amazing number of uses!